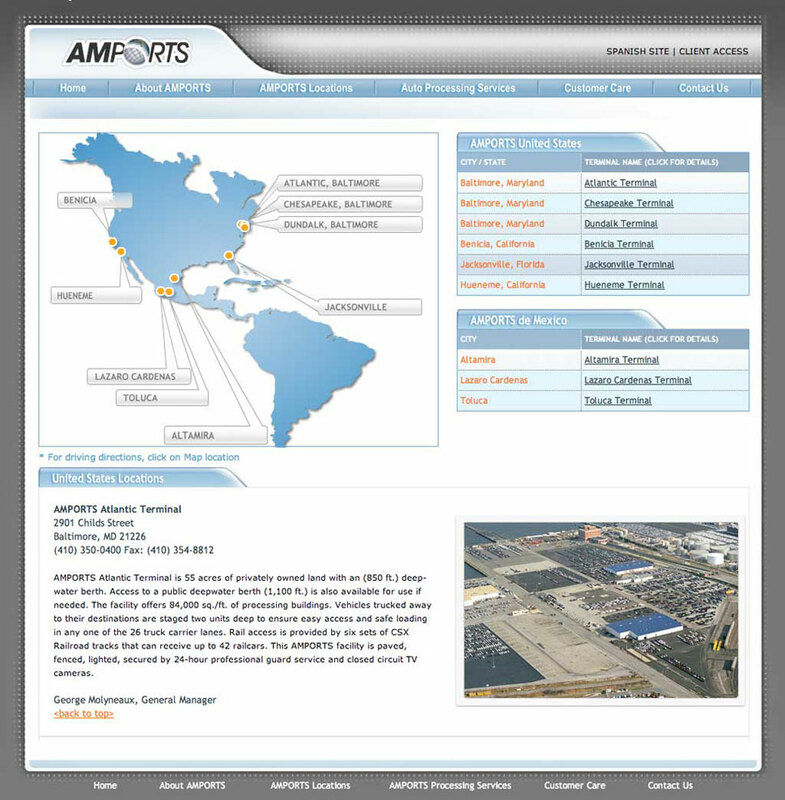 Website Design and Programming for Amports Auto Processing. 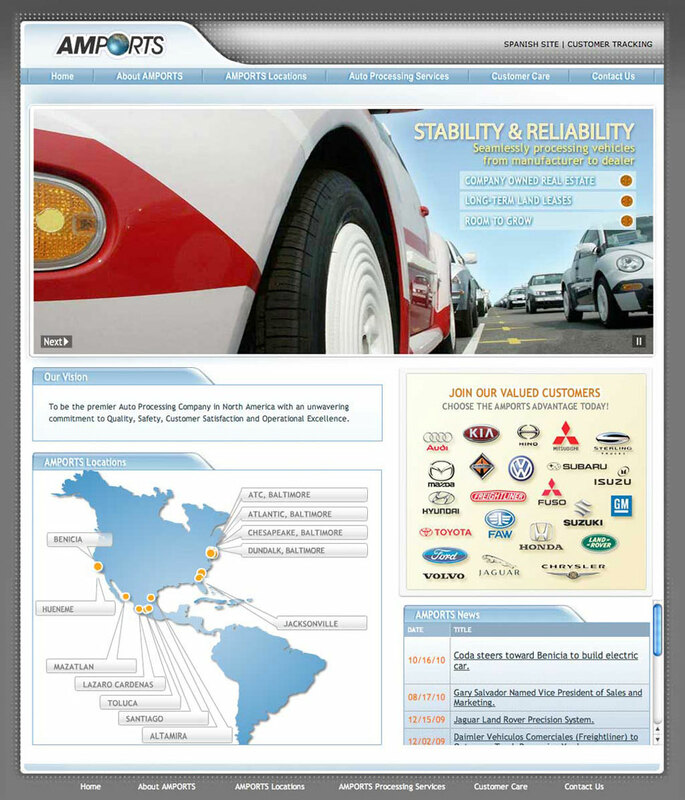 Upon completion the client received all the source files and graphics. 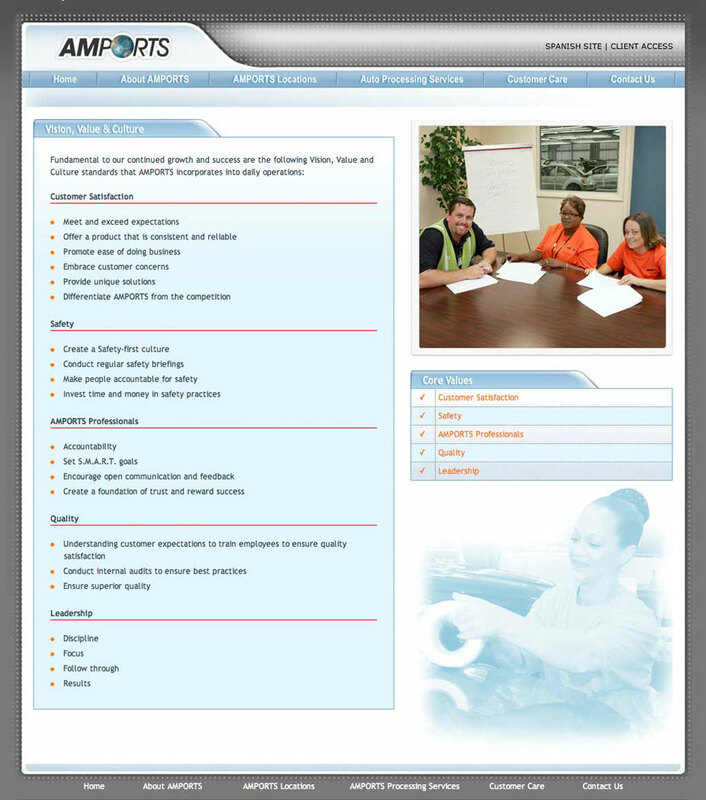 Client choose to have their IT department maintain and publish content from there.